I hope you are having a lovely Sunday and are enjoying the long bank holiday weekend so far. 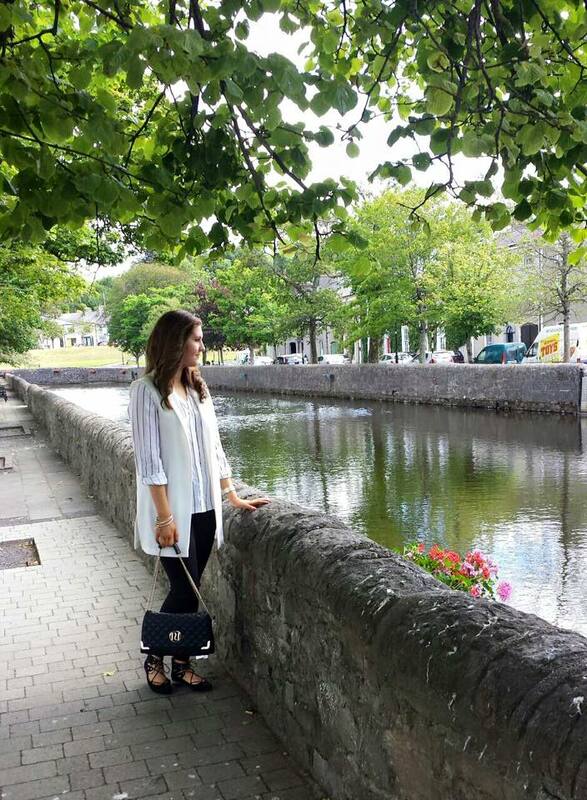 Westport in Co. Mayo is the perfect getaway for a long weekend stay be that anytime of the year. Even though it is a well known spot for tourists it is just as appealing to locals and people living outside of Co. Mayo. The town has so much to offer for people of all ages. 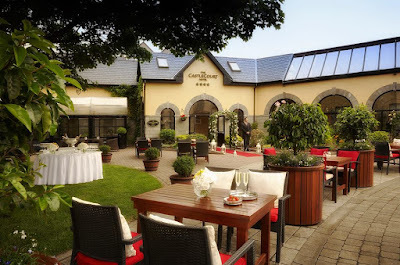 The CastleCourt Hotel in my opinion is the most well known hotel in Westport. 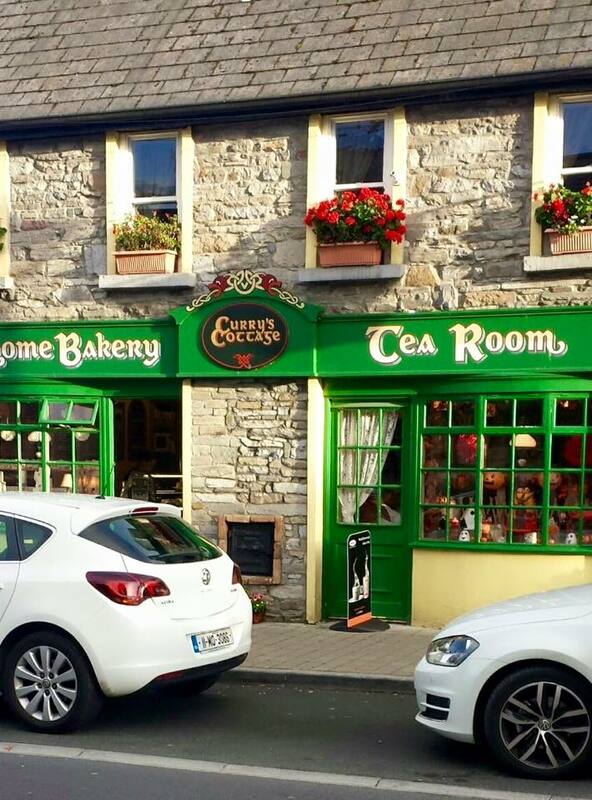 It is a 4* hotel located in the the town on Castlebar Street just a five minute walk from all the shops, restaurants and bars. The CastleCourt Hotel is situated in its own grounds with its sister hotel Westport Plaza Hotel . There is the most beautiful courtyard surrounding both hotels which is perfect to sit back and relax out doors with a delicious coffee or a drink while the kids play. It is also the perfect place to take photos of your wedding day. 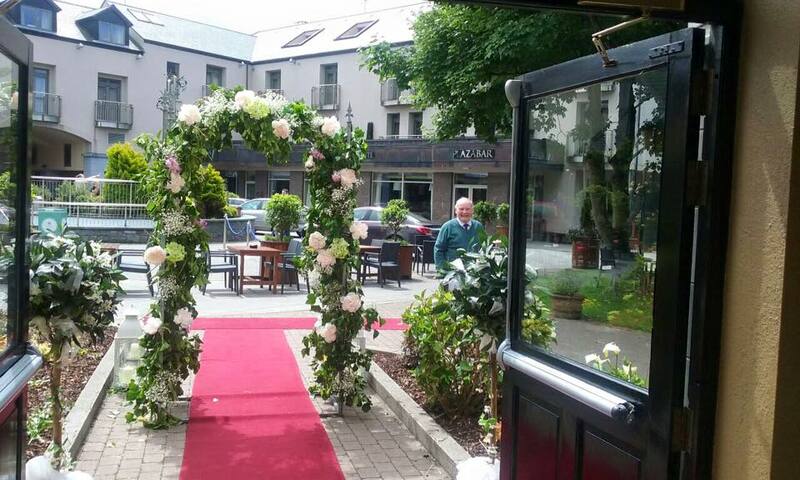 The CastleCourt Hotel is the most popular wedding destination in Westport. If you've been here you will see why! The resort also has a leisure center known as the C Club which has a 20 mtr heated indoor pool, a jacuzzi, a steam room and a gym. Perfect for getting your swim or workout in while you're away or some fun for the kids to burn off some energy. There is also a gorgeous spa - Spa Sula, perfect to relax and unwind in the luxurious settings. 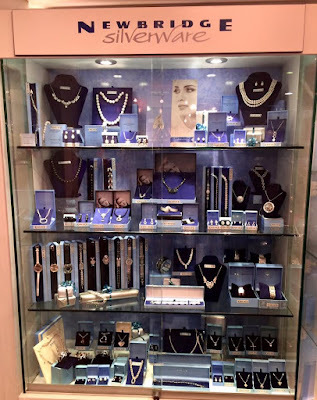 Carrying out a wide range of treatments for all your beauty and relaxation needs. 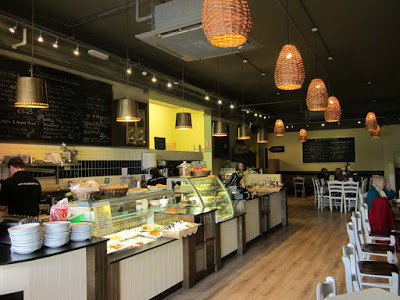 There is also a number of different restaurants and late night bars in the hotel too. Castle Late Night Venue used to be a night club but is now a late night bar which has djs, and live bands. With its cool atmosphere it is the perfect place for a celebration. 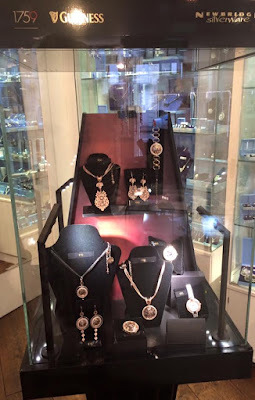 be that a birthday party, hen/stag party or just a Saturday night out! I love both hotels and would highly recommend staying in this resort if you are staying in Westport. I think The CastleCourt Hotel is more wedding focused but the Westport Plaza Hotel is less formal but still has that luxurious feel to it. It is more modern then The CastleCourt but in both hotels you will get exceptional service and the perfect nights stay. 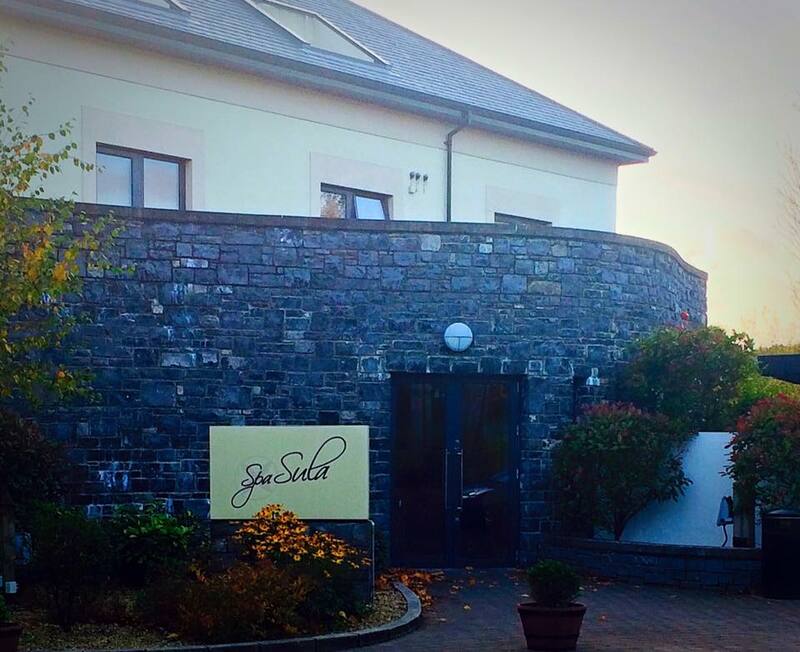 There is also a number of events that take place in The CastleCourt Hotel such a wedding fairs and business seminars. The next business seminar that is taking place is the Mayo Business Awards. This event is taking place on the 6th of November and all businesses across the country can enter. This is a brilliant event to promote your business and network with some of the top business people in the country. Tickets for the event can be purchase on EventBrite. EventBrite is the largest self-service online ticket company in the world helping people find and plan events. Check out the event management page here. It is a website and also an app available as a free download from the app store on IOS or in the play store on android. It is so easy to use and in my opinion the best app or website for booking tickets. Being a blogger I have to go to loads of events and I always use Eventbrite without fail to book them I downloaded the app on my phone so that when I book a ticket I don't need to print it out. I can save it in my EventBrite app or my passbook and just present it when at the event. Its simple! I would definitely recommend businesses to use it when planning and organizing events as it takes the pressure off and makes it easier for everyone. So now that you have your hotel booked and know where to get your tickets from what are you going to do while you're here? 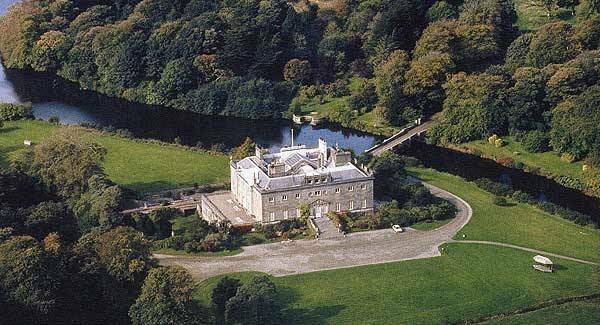 Westport House is full of fun for all the family. With acres of land set amongst lush gardens and a Pirate Adventure Park, there is something to suit everybody. Walk through the grounds and rich mature wood lands or take a tour of Westport House where the legendary Pirate Queen of Connaught Grace O'Malley reigned here in one of her many castles. Even if this is something you aren't really interested in, I think you should go a see it a least once. Its really cool to see how they used to live. The grounds are orgeous to have walk through and a number of events are taking place throughout autumn and winter this year such as Halloween Fest and Winter Wonderland. There is also camping facilities and much much more which you can find out about here. 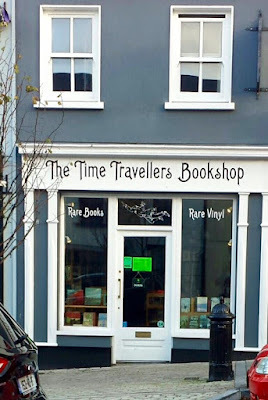 Westport town is full of unique boutique, cute cafes, old fashioned sweet shops and quirky restaurants, as well as traditional Irish pubs and shops. 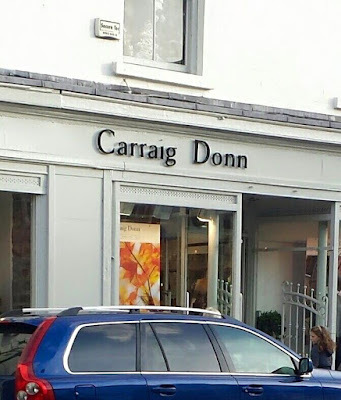 Carraig Donn is one of my favourite boutiques in Westport. Its clothing is usually for an older age group but as the store is progressing they are getting more brands in like Only and Vera Moda. They have a home decor department upstairs with traditional Irish pieces with a modern day twist. 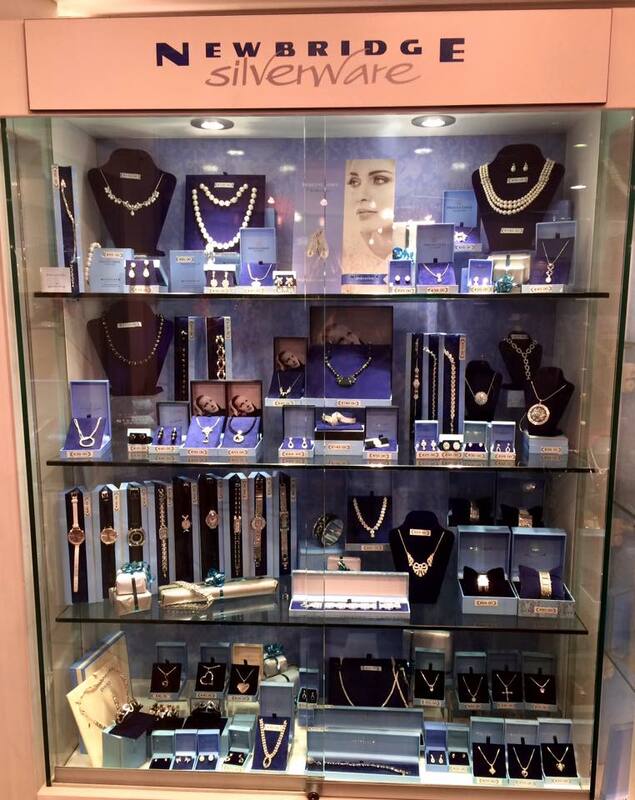 They also have a gorgeous jewellery collection carrying Ireland's largest jewellery brand Newbridge Silverware. Mocha Beans - Best Coffee! Westport really does have such a variety of thing s to do. 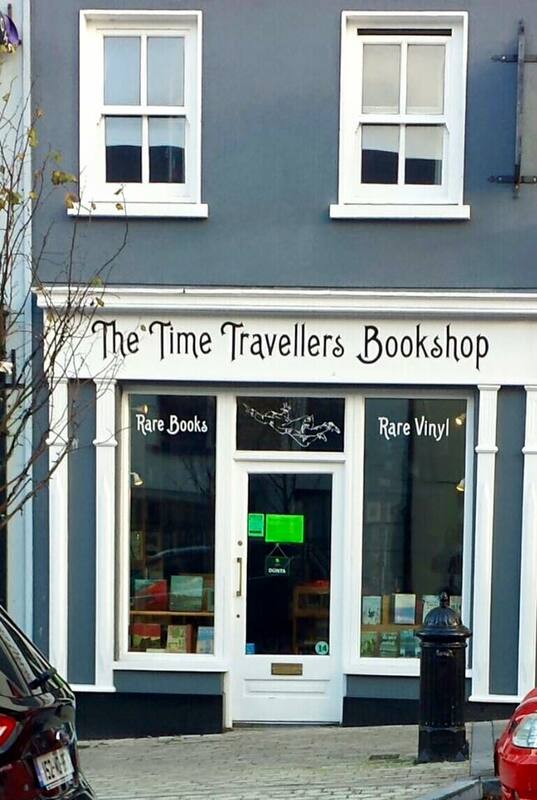 You will definitely need more that 24 hours in this little town. I couldn't even list all the shops and restaurants you need to visit. You really are spoiled for choice. 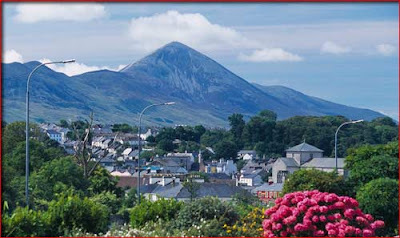 A lot of people also come to Westport to climb Croagh Patrick and to walk, run or cycle the 'Green Way'. Croagh Patrick is a challenge but it is something really worth doing, you will feel such a sense of achievement once its completed and if you take your time and enjoy the journey you wont feel the time go by. The 'Green Way' is a scenic route around Westport with beautiful views which is the perfect excuse for getting you workouts in outdoors. Have you ever been to Westport? If so what are your favourite spots? I'd love to know!